I have been woodworking without a table saw (TS) for nearly 30 years; using a radial arm saw as the workhorse of my tools. I never had the room for a table saw when I worked out of my 8’X11’ basement shop. In 2007 I became the happy owner of a dedicated shop, attached to my garage. It is only 8’x18’ but it has an 8’ ceiling and is almost double the space I had. I plan to retire from my job of 32+ years next July and planned to use the money I will receive for my unused vacation time to by a top notch TS. Reading reviews here on LJ as well as Google searches and reviews in magazines; I resolved that the PM2000 was the saw I wanted. As this was to be my first and last TS, I decided to spend the money and get all the bells and whistles available. In other words, purchase my “dream table saw”. During my research I learned of a site: “Powermatic”: http://www.woodwerks.com/ that sells custom made PM2000s. You pick any color you want including an accent color if you like, motor size, fence size, etc. They even put a plate on the front that reads: “Custom built for (fill in name).” I wanted the 5 hp motor, had selected colors (dk gray with navy blue trim) and 50” Accu-fence. The whole thing was going to cost about $3,600 delivered. 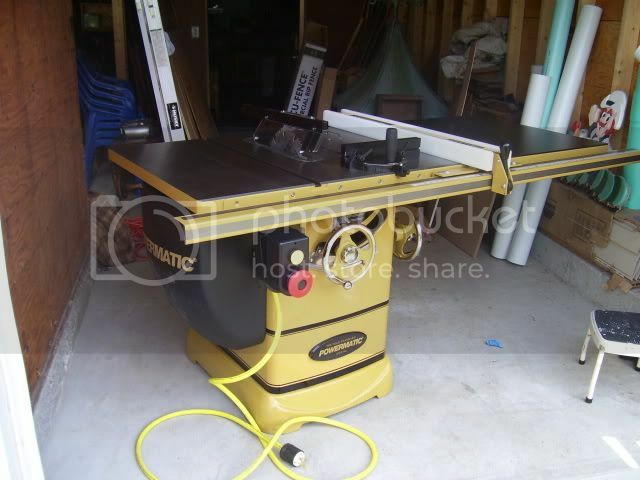 Then Woodcraft came along with a 20% off Powermatic and Jet tools sale about a month ago. For the same saw I wanted, but not customized, the final cost including delivery was $2,700. It was a deal I couldn’t pass up. (At least that’s what the wife said!) So, on Tuesday May 26th my dream TS arrived. It was to be lift-gate delivery and I planned to ask the driver to drop the lift-gate just inside my garage and we (a brother and two neighbors) could work it off the lift-gate onto the garage floor. Turns out the driver left the truck on the street, used a pallet jack to lift the saw and he, the pallet jack and saw came down on the lift-gate together. He walked the saw up my driveway to the garage (two of us pushed while he pulled), spun it around and dropped it right in my garage. There were lots of boxes. 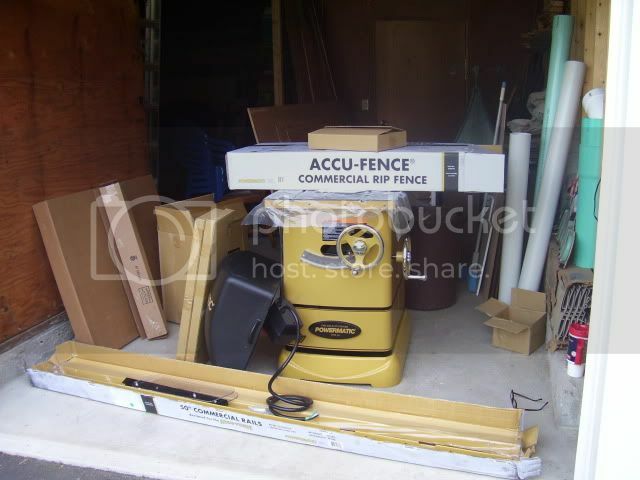 One for the rails, one for the Accu-fence, the extension wings, the extension table, etc. 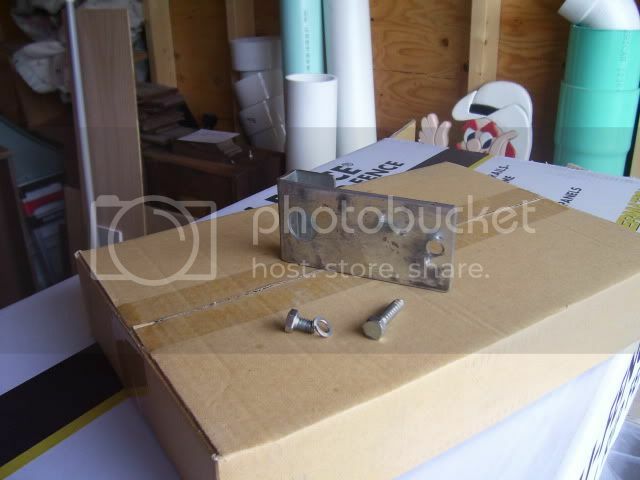 All the boxes were sitting on top of the box that encased the saw and were held there with shrink-wrap. 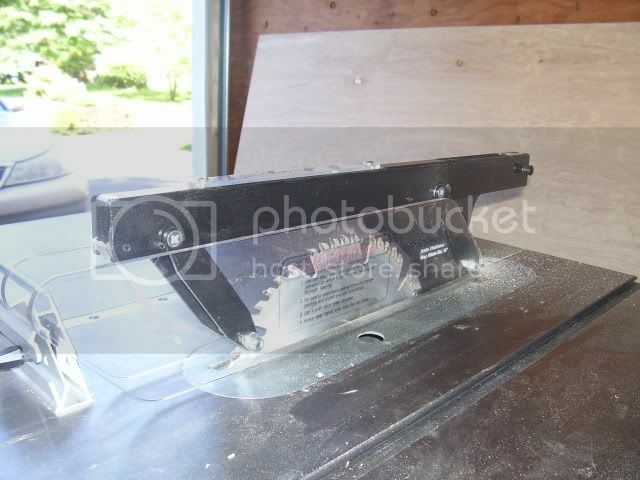 The saw itself was encased in a cardboard box with no bottom and 2X4s at each corner. I wanted to get pictures of everything step by step but my helpers were too anxious to see things so we started opening boxes and learning what was what. After all boxes were off the saw and its box was removed, I wanted to employ their help in getting the saw off the pallet and onto the garage floor. We tried to slide the saw to an edge only to learn that it was bolted to the pallet with a heavy piece of metal and a lag screw. There were two of these. That’s why there was no bottom to the box. With the brackets removed we slid the saw to an edge and then to the floor. We lifted the edge that was still on the pallet to a steep angle, pulled out the pallet and then rested the saw fully on the floor. I have nothing to compare it to but this is one beefy saw. Delivery weight for everything was listed as 750 lbs. The owners’ manuals, one for the saw and one for the fence system, were clear and easy to follow. I thought I was missing one bag of hardware for the fence and rails but on a hunch I tipped and shook the hollow tube that sits on the front rail and out popped the bag of hardware. Over the course of several days, working about an hour a night, I got the whole saw assembled, adjusted and aligned. As advertised, the blade is easily installed via a lock button, the blade guard and riving knife click in and out of place quickly and easily. nickel test. Believe it or not, the saw was running as this picture was taken. With the nickel standing on edge on the table I hit the start button and the nickel never budged. You might also notice in this picture that my Freud Fusion blade had arrived. So, while not the specific color I wanted and without my name on it, I’d say I am delighted with my “almost” dream table saw, and about 14 months earlier than I expected to have it. My thanks to my brother, C.M. and my neighbors Joel and Ken for their help on delivery day. Cangratulations!! It is a beauty! May you and she make beautiful woodwork for many years to come. I hope your wife doesn’t get jealous! Goodbye tension, hello pension! I love a happy ending. That is one beautiful TS. Enjoy. 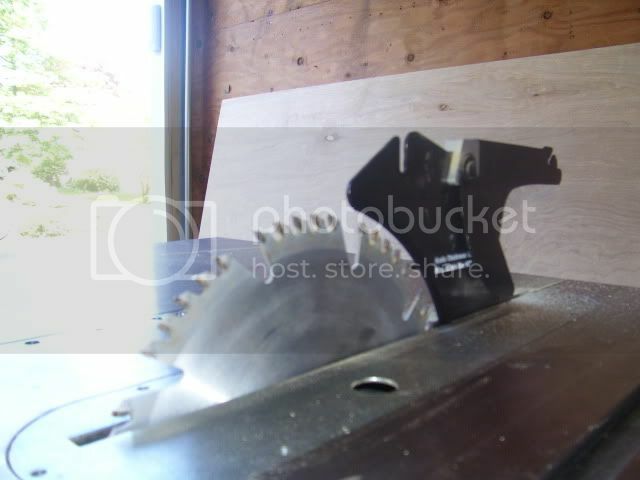 I’m really happy for you Lenny this looks like a great saw!!!!!!! GREAT REVIEW…you will have to add another after you get more time using it…but it sounds like its off to a great start…congrats!!! Lenny, that is one fine saw that you have in your shop. I am a big Powermatic fan and have always been impressed by the quality and craftsmanship that go into the PM line of tools. And they have really solid customer service as well. This certainly will give you years of service and is a dream saw. Congratulations on such a fine purchase. Congratulations on your new saw purchase. You are going to love your new saw! I am happy for you. Thanks for posting. Congrats Lenny on your new saw. Congrats, it’s a beauty. I’m sure it will cut even better than it looks. My fellow Red Sox fanatic fan !!! !....BIG CONGRATS MAN !!! 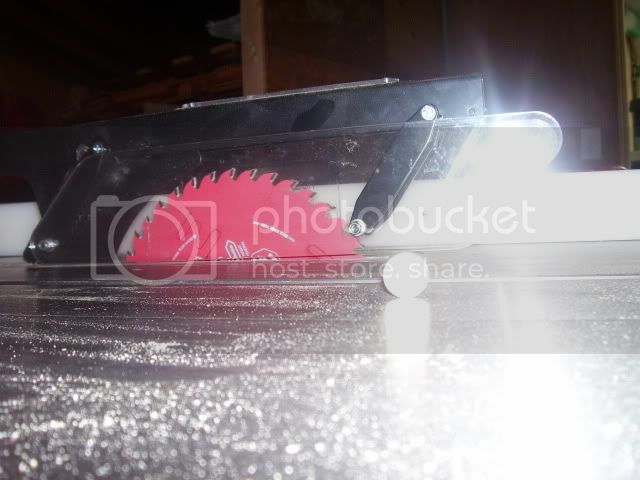 That is one beautiful saw…. I can not wait to see what great creations comes out of it !! Great Saw Lenny, I swear by Powermatic. I’ve used them for years in the shops I’ve worked in and they are solid. I’d say the 1,000,00 savings was well worth it. Now you can afford some wood. Congratulations Lenny on the new saw. It is beautiful. It will be great to get up in the morning and just work on your projects. Congratulations on your retirement! Thanks everyone for the support and the kind and amusing comments. Durnik and Bovine, coincidentally, my daughter told me yesterday that my wife told her I take more pictures of my tools than I did of her and she’s 22! Barry, thanks for the heads up regarding the belt. Napaman, nice to hear from you. If you really want me as a tour guide for Boston, you’d better catch me BEFORE next July. I will not miss that 1 1/2 hours daily commute and it will hard to get me to make that 50+ miles trek for some time. Scott, I know you went with the SawStop and I seriously considered it as well. I can’t say I don’t have second thoughts but for now at least, it will be: enjoy the PM and no looking back! Tom, your review was one that was instrumental in my decision. I have been hoping to see a follow up that covers your use of the saw. As I recall, you hadn’t used it yet. Don, a sweep of the Yankees and two more wins in a row since…the Sox are on a roll right now!